The Wooden Boat Museum of Newfoundland and Labrador is a not-for-profit Corporation with charitable status, operating as professional archivist, conservator, exhibitor and transmitter of this province’s knowledge and history of wooden boats, their economic use and contribution to community life. 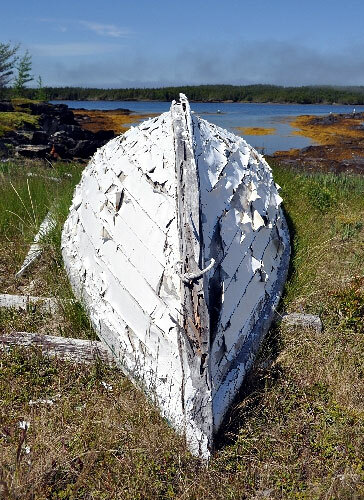 WBMNL’s programs and initiatives are designed to connect wooden boat builders and enthusiasts and to encourage sharing the knowledge and skills associated with traditional wooden boat building. As we continue to learn about construction and design from our tradition-bearers, WBMNL promotes and safeguards the transmission of this knowledge to future generations. The Wooden Boat Museum of Newfoundland and Labrador archives, conserves, exhibits, and transmits our wooden boat history and its contribution to the province’s economy and way of life. Our motto is Look Aft and Learn. Seafarers commonly say “look aft” to mean look behind, to the rear and the wake of the vessel. As a wooden boat museum, we feel it a fitting expression that shows our commitment to looking to our history and heritage as a means of learning for the future. Funding for the Wooden Boat Museum of Newfoundland and Labrador is provided by Federal and Provincial Government Departments and Agencies, WBMNL members, corporate sponsors and through fundraising events.